Going green in your backyard doesn’t mean just planting a bee-friendly garden and providing water for the bees. 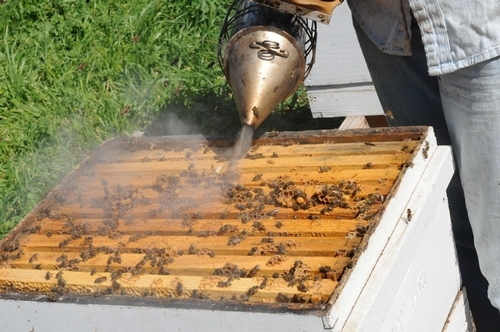 Have you ever thought about becoming a backyard beekeeper? You can help boost the declining bee population while engaging in a fascinating and rewarding hobby. Your flowers, fruits and vegetables will benefit (as will your neighbors' gardens). Another reward that’s sweet: honey. There’s another benefit, too. If you’re into photography, especially macro photography, this is a perfect opportunity to “bee” there. The number of backyard beekeepers in the United States has increased by about 15 percent over the last three years, according to Kim Flottum (top), editor of Bee Culture magazine and author of The BackYard Beekeeper: An Absolute Beginner’s Guide to Keeping Bees in Your Yard and Garden. He estimates the number at 100,000-plus and growing. Extension apiculturist Eric Mussen (left), member of the UC Davis Department of Entomology faculty, also advocates that folks do their part in the honey bees crisis. Don’t just plant bee friendly plants, but plants that bees can forage on in the late summer and fall when food is scarce, he says. 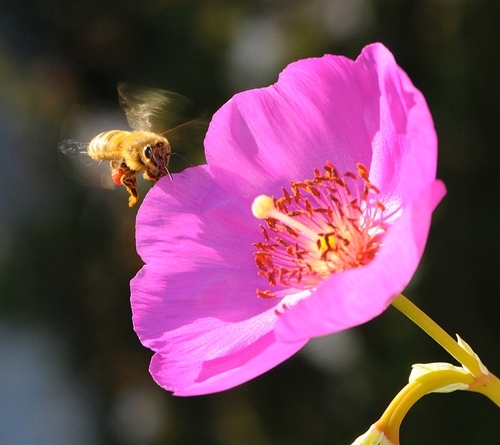 The Xerces Society for Invertebrate Conservation provides regional lists of bee friendly plants. The UC Berkeley Urban Gardens website maintains a California list. What are some of the first steps in becoming a beekeeper? Join a local beekeeping association where veterans can assist you. Bee Culture maintains contact information for beekeeping associations. The Harry H. Laidlaw Jr. Honey Bee Research Facility at UC Davis maintains a list of beekeeping clubs in California. Many 4-H clubs also offer beekeeping projects where youths can learn the not-so-secret life of bees. Check your city and county ordinances and your county agriculture commissioner for bee-colony regulations. Contact your neighbors to see if they are allergic to bee stings or if they have any objections to your keeping bees. Start a library of beekeeping books. Some of the most recent books by bee experts include The Backyard Beekeeper by Kim Flottum; Honey Bee Hobbyist: the Care and Keeping of Bees by UC Davis retired emeritus professor Norman Gary (his experience spans six decades); and Storey's Guide to Keeping Honey Bees: Honey Production, Pollination and Health by University of Florida Extension beekeeping specialist Malcolm T. Sanford, with expertise from the late Richard E. Bonney's book, Beekeeping and Hive Management. Subscribe to bee publications such as The American Bee Journal, Bee Culture and Speedy Bee. Glean information from the Internet, including YouTube, but be aware that some info is misleading and inaccurate. Bee breeder-geneticist Susan Cobey of UC Davis and Washington State University cautions that you must take care of your bees to ward off diseases and pests. And, if you’re catching swarms, especially in southern California, be aware that some could be Africanized bees. “The swarms are initially docile, but can become very defensive when they grow and have brood and honey—and turn to a public health issue,” she says. 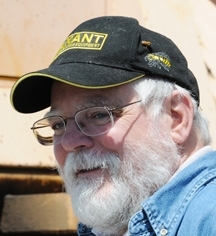 Cobey advocates that would-be beekeepers find a good mentor and/or bee club that offers beginners’ classes and arranges purchase of good queens. “Temperament alone will make a huge difference,” she says. The best part of rearing your very own bees, though, is making an individual statement in a world filled with millions of unanswered questions. Colony collapse disorder (CCD) is one of them.